Why Is Teeth Whitening So Popular? 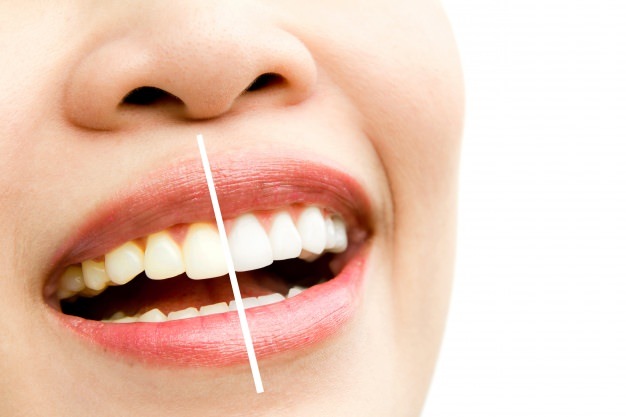 While brushing, flossing, and a commitment to regular dental checkups is essential for maintaining a great smile, many patients continue to feel as though their smile is lacking a bit of sparkle. According to the American Academy of Cosmetic Dentistry, when asked about the one thing that they’d like to change concerning their smile, the majority of individuals said that they wanted whiter teeth. This is further supported by the fact that nearly 90% of patients requested teeth whitening over other cosmetic services, as reported by the American Association of Orthodontics. Even so, why is teeth whitening so popular? Without question, whiter teeth helps individuals smile with confidence, and this is perhaps the number one reason why it continues to gain popularity. Teeth Whitening is quick and painless. This is of great appeal for those that desire an immediate result, as well as individuals that have dental anxiety. In fact, many dental practices offer special amenities for those receiving teeth whitening such as watching television or listening to music. When compared to countless other cosmetic treatments, teeth whitening is inexpensive, with long-term results. How Do Teeth Become Dull And Stained? It’s easy to see why teeth whitening continue to gain momentum for those desiring a whiter, brighter smile. Yet, how do teeth become dull and stained in the first place? Consider the outer layer of the tooth called the enamel. Did you know? The color of natural teeth is generated by the reflection of light off of the tooth’s enamel, coupled with the color of the underlying dentin of the tooth. Because the thickness of an individual’s enamel is determined genetically, thin enamel shows more of the color of the dentin beneath. In turn, the texture of a patient’s enamel also plays a role in how white teeth appear. In addition to genetic factors, pores in the tooth’s enamel absorb colors from foods and beverages that come in contact with teeth each day. Thus, darker colors are held in the pores, resulting in staining of the tooth. Specifically, tea, coffee, sodas, and red wine contribute to stains on teeth. Other factors include tobacco use (including smoking), inconsistent oral care, and aging. Are you ready to smile with confidence? Dr. Vuong and the team at Smile Avenue Family Dentistry are happy to offer the advanced teeth whitening system called ZOOM! to patients in Cypress. Call us today! Valplast Dentures: Strength, Flexibility, and Comfort? Top 5 Reasons Why You Should Invest In Teeth Whitening.